1. 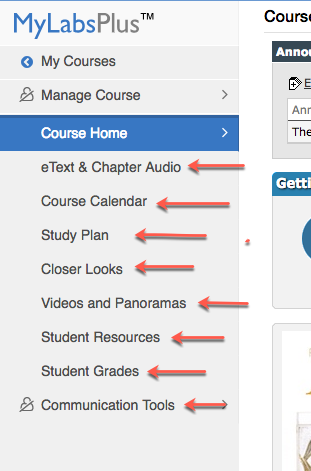 Prior to the term start, navigate to your course in D2L and click the MyLabsPlus button on the right side of the course homepage. 2. 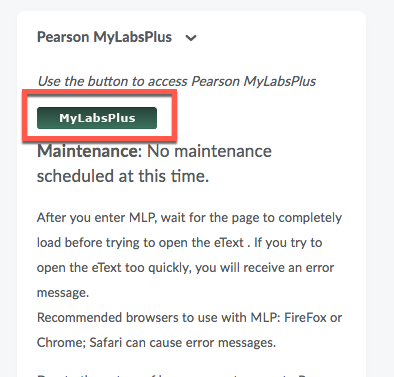 Once you are in your MLP course, make sure to click all the links in the MLP left navigation menu. Clicking the course content links generates the associated MLP course, which then makes the other digital assets available to the students. Make sure each link has content within it, as well. Note: when clicking these links, you may or may not get a message stating that your course is being created and will be ready in a few minutes (shown below). If you do receive this message, it is normal. Posted by: Melody Fan - Fri, Aug 31, 2018 at 1:46 PM. This article has been viewed 212 times.